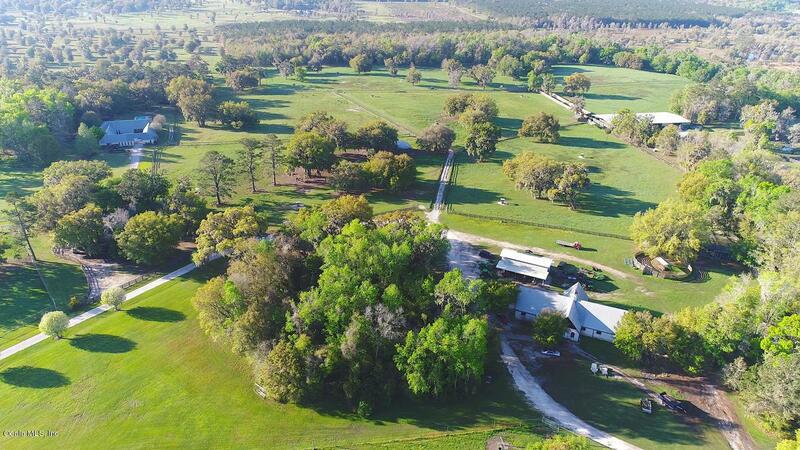 Outstanding opportunity to own this 816+/- farm conveniently situated between Ocala, Gainesville and Williston. This perimeter fenced property includes the unique custom built home with open floor plan designed for entertaining guests. Many custom features include a deluxe kitchen, custom cabinetry, formal dining, private den, spacious master suite, plus guest quarters overlooking lush green pastures and pool. 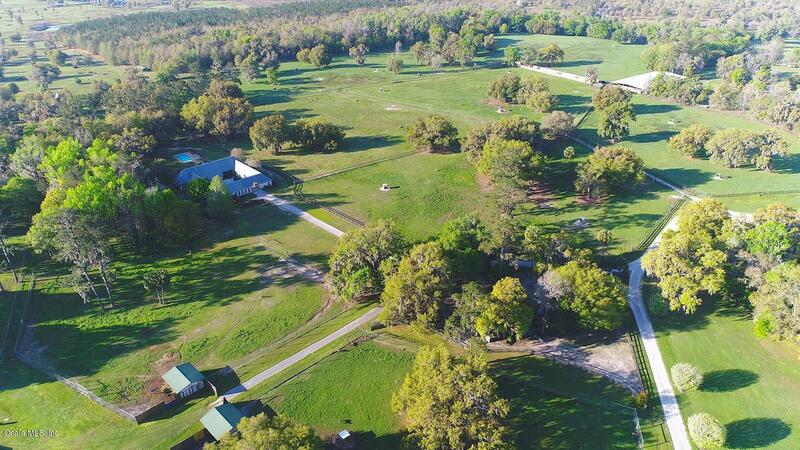 Additional farm amenities include a 12 stall center aisle barn, 40X60 barn with 14 foot sliding doors, maintenance shop, small house plus 2 mobile homes. 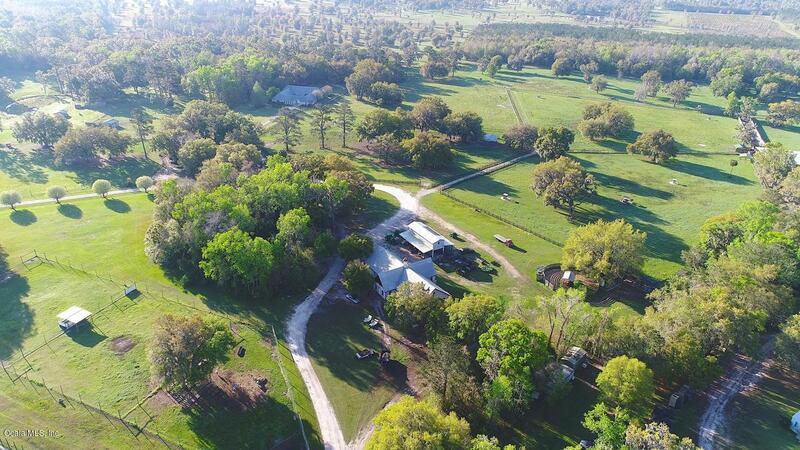 The separate gated entrance off 318 leads to a 24 stall barn with apartment, covered Eurociser, swim pond for horses, RV hookups, and lush green paddocks with automatic waters. 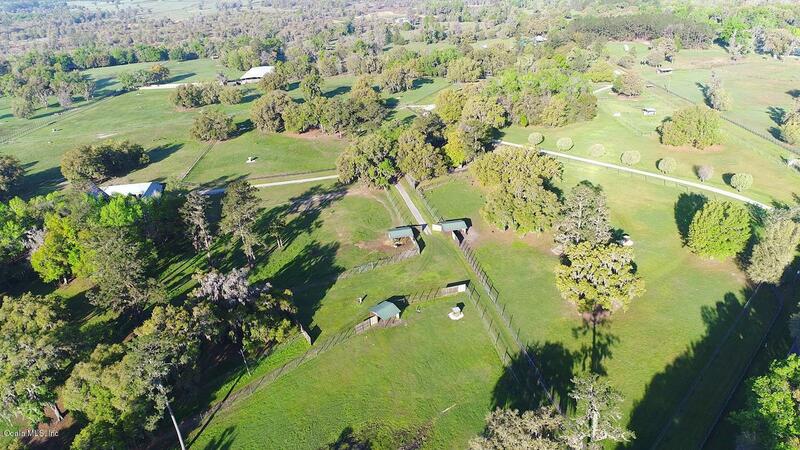 The size of this property makes it ideal for anyequine venture, cattle or family compound. © 2019 Ocala/Marion County MLS. All rights reserved. IDX information is provided exclusively for consumers' personal, non-commercial use and may not be used for any purpose other than to identify prospective properties consumers may be interested in purchasing. Information is deemed reliable but is not guaranteed accurate by the MLS or Bosshardt Realty. Data last updated: 2019-04-25T13:31:51.6. © 2019 Gainesville MLS, Inc. All Rights Reserved. Information deemed reliable but not guaranteed.The Broker Reciprocity logo designates real estate listings held by a brokerage firm other than Bosshardt Realty. IDX information is provided exclusively for consumers' personal, non-commercial use and may not be used for any purpose other than to identify prospective properties consumers may be interested in purchasing. Data last updated: 2019-04-25T13:06:59.443.